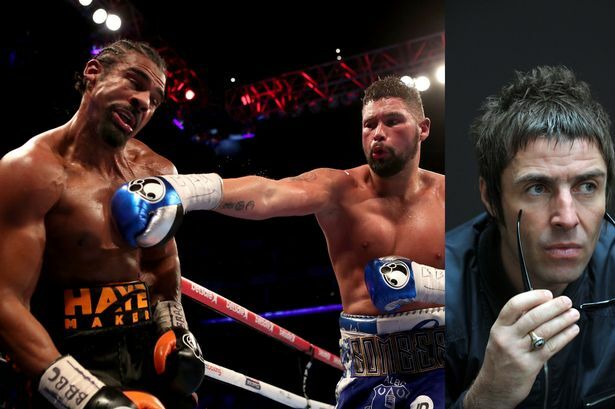 Liam Gallagher has praised “pair of nutters” David Haye and Tony Bellew following their epic heavyweight fight at London’s O2 Arena. The Oasis legend was clearly gripped by the extraordinary contest which saw Liverpudlian Bellew beat rival Haye in the 11th round despite breaking his hand early in the fight. And Haye courageously carried on for the rest of the fight with his right ankle strapped after suffering an achilles injury in the sixth round.